This one is quite obvious: Even though Black will lose his pawn, he gets an Inverse Philidor position which is a draw with correct play. Just remember: Don't panic and blunder with something like 1... Rd8? 2. Kxe6 Rb8 3. Kf6 Rd8 4. e6 Rb8 (or 4... Rd1 5. Ra8+ Rd8 6. Rxd8+ Kxd8 7. 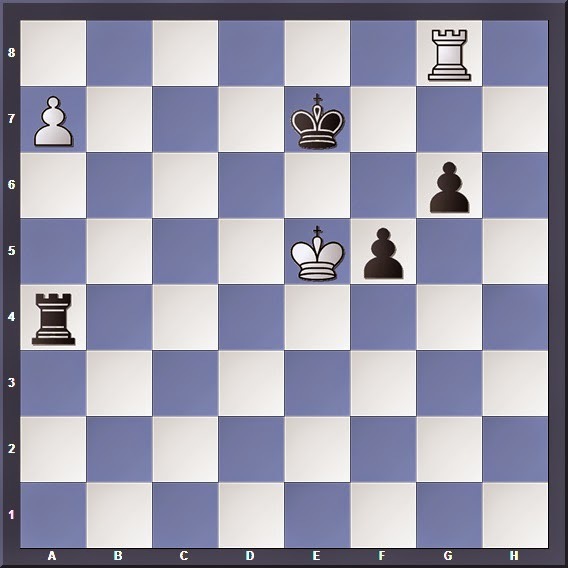 Kf7 with a losing king-pawn endgame) 5. Ra7 Rc8 6. Rh7 where Black loses due to his passive rook. Putting the rook behind the pawn. Although we prefer having the rook on e1 (with lots of checking distance), it still works here. Another good move is 1... Rh4! and after 2. Kg5 (2. Ra8+ Kd7 3. Ra7+ Ke8 4. Kxe6 Rh6+ 5. 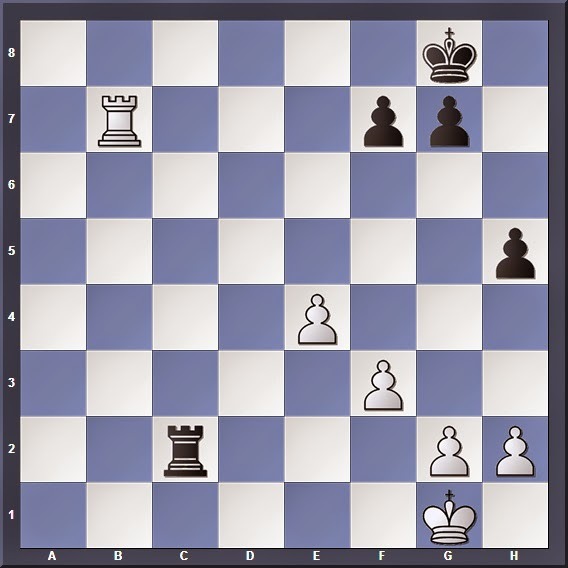 Kf5 Rb6 with an easy Philidor position) 2... Rh1 3. Rxe6+ Kd7 4. Rd6+ Ke8 5. Kf6 Ra1 Black has another Inverse Philidor and threatens to check White from the long side of the board. Moving the king to the short side of the board; it gives Black's rook sufficient checking distance along the long side. 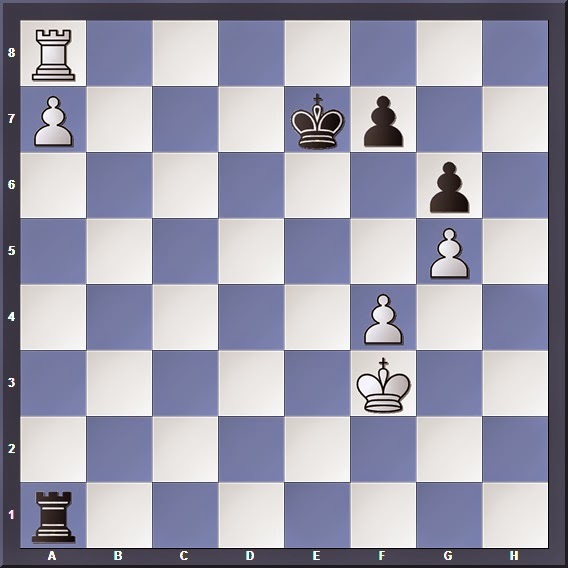 White to move; can he win? White wins by decoying Black's pawns away, stripping their king of cover. Other variations are 1... Kd7 2. Rf8 (threatening 2. Rxf7) which lose immediately, and 1... Ra3+ 2. Ke4 leading to similar variations in our main line. And the familiar trick comes to play; White threatens to promote his pawn or play Rg8+ should Black capture. 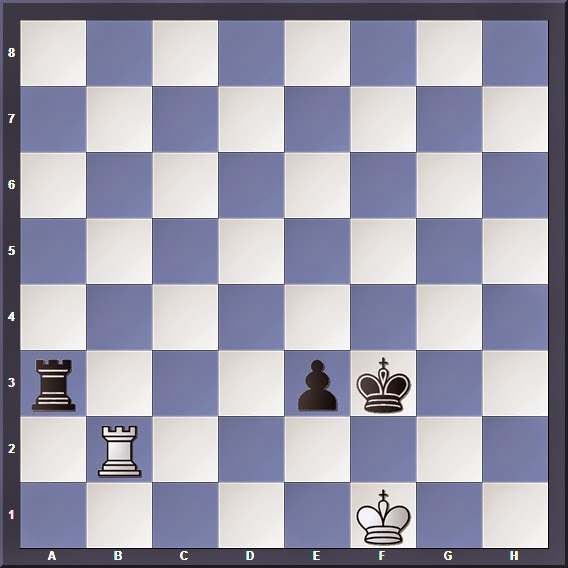 The White king will slowly destroy Black's checking distance. Watch out for drawing traps: After 5. Kg5 Kf7! 6. a8=Q? Rg4!7. Kh6 Rh4+ Black saves the game with a perpetual check. 5... f4 6. a8=Q Rxa8 7. 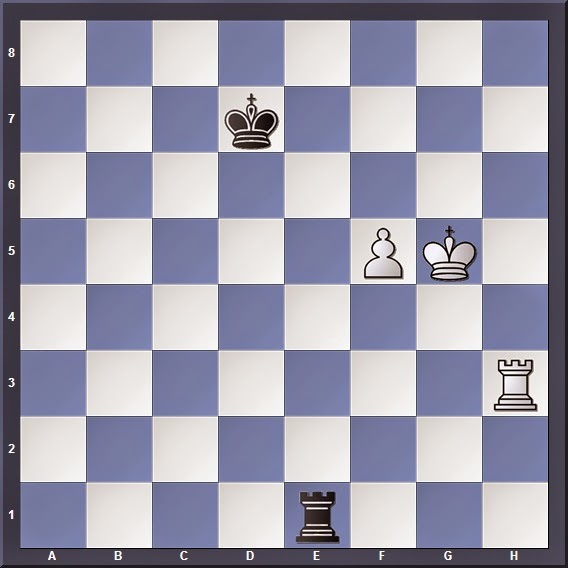 Rxa8 and White will win the resulting Rook vs Connected Pawns endgame, since the pawns have yet to cross the 6th rank and White's king is close by. 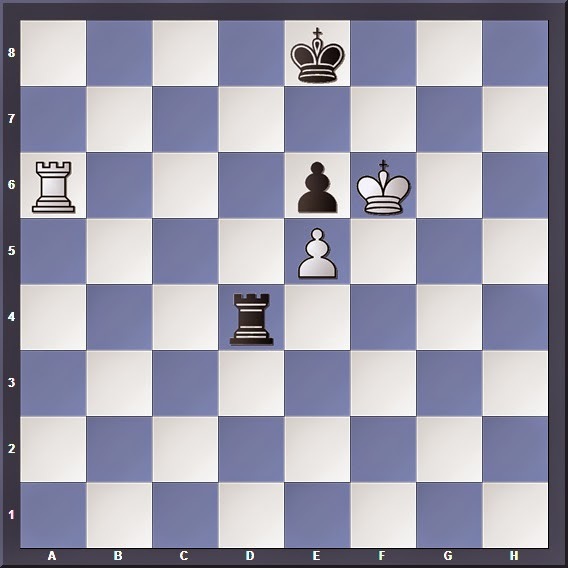 Position 3: White to move, can he win? What if it were Black to move?